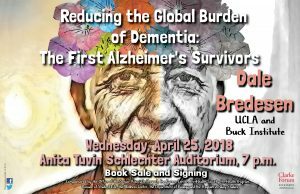 Bredesen describes his treatment for Alzheimer’s and pre-Alzheimer’s, along with associated challenges and implications. A book sale and signing will follow the presentation. The program is sponsored by the Clarke Forum for Contemporary Issues and co-sponsored by the Office of Senior Associate Provost; the Career Center; Pre-Health Society; Pre-Health Program; Division of Student Life; the Wellness Center; Department of Biology; and the Program in Policy Studies. It was initiated by the Clarke Forum Student Project Managers. Dale E. Bredesen, M.D. received his undergraduate degree from Caltech and his medical degree from Duke. 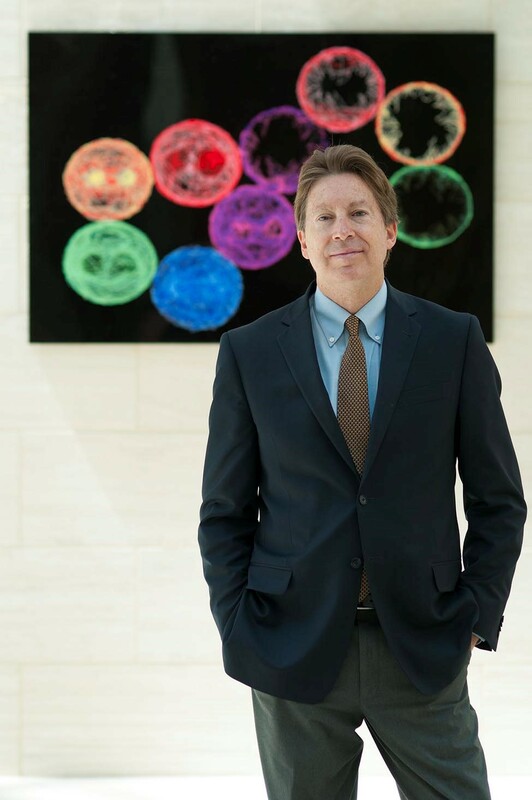 He served as resident and chief resident in neurology at UCSF, then was postdoctoral fellow in the laboratory of Nobel laureate Prof. Stanley Prusiner. 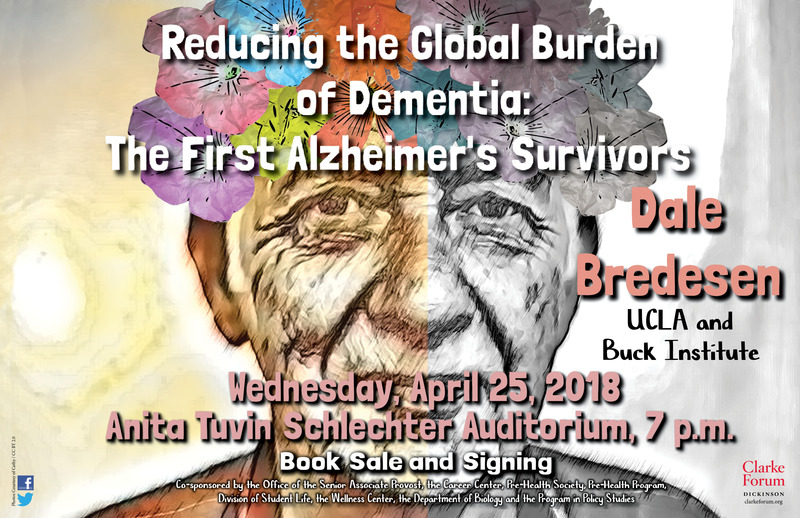 He was a faculty member at UCLA from 1989-1994, then was recruited by the Burnham Institute to direct the Program on Aging. 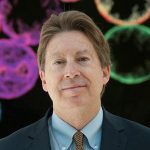 In 1998 he became the founding president and CEO of the Buck Institute for Research on Aging, and Adjunct Professor at UCSF; then in 2013 he returned to UCLA as the director of the Easton Center for Alzheimer’s Disease Research.